Platelets, whose primary function is to prevent bleeding, are vital for treating various forms of trauma and blood diseases. However, they can only be obtained through blood donations at present. Researchers reporting online February 13 in the Cell Press journal Cell Stem Cell recently found a way to create platelets without the need for donated blood, an advance that could possibly erase supply shortages and ensure platelet treatments for all who need them. The supply of donated platelets, which have a short shelf life and must be kept at room temperature, is often insufficient to meet clinical needs. In addition, while transfused platelets do not typically need to be immune-matched to patients, repeated transfusion of unmatched platelets leads to an immune reaction that eventually renders patients unresponsive to platelet transfusion therapy. To address these limitations, investigators from Japan developed a strategy to derive functional platelets from human induced pluripotent stem cells. Induced pluripotent stem cells can be generated from various types of cells in the body, and they can in turn be coaxed to develop into nearly any other cell type. In the current study, the approach involved genetically manipulating such stem cells to become stable immortalized lines of platelet-producing cells called megakaryocyte progenitors. 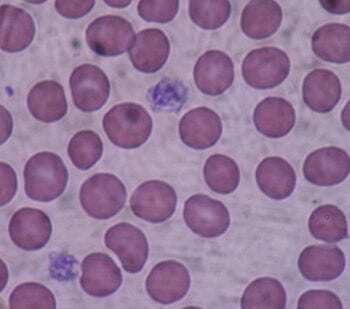 The megakaryocyte progenitors could produce large quantities of platelets with clotting capabilities that were similar to those of donated platelets. Unlike freshly donated platelets, though, the immortalized megakaryocyte progenitors could be expanded and frozen for long-term storage. “Here we established a method to achieve the long-term self-replication of megakaryocyte progenitors as an immortalized cell line, which could eventually contribute to large-scale cultivation and production of platelets,” says senior author Dr. Koji Eto of Kyoto University and the University of Tokyo. April 18, 2019 - Urgent Need for Blood Donors wrde.comDOVER, Del.- The Blood Bank of Delmarva has issued an urgent call for blood donors--before it's too late. The Blood Bank of Delmarva says ideal. April 11, 2019 - Give blood, platelets with the Red Cross during National Volunteer Month Huntington Herald DispatchCourtesy of theAmerican Red CrossThe American Red Cross encourages eligible donors to give blood or platelets during National Volunteer Month this April. April 15, 2019 - Houchin Blood Bank's Gold Club members save lives anonymously The Bakersfield CalifornianHigh achievers sometimes razz each other to keep the competition hot — but also as a sign of mutual respect. March 20, 2019 - Researchers uncover aspirin's effects on platelet rich plasma Medical XpressA collaborative study led by researchers at Baylor College of Medicine explores the effects of aspirin on a new biologic therapy, platelet rich plasma (PRP).